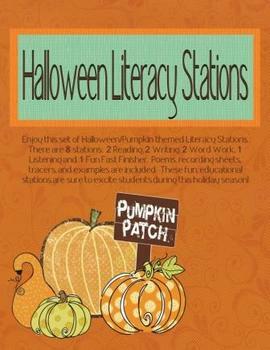 Enjoy this set of Halloween//Pumpkin themed literacy stations. This product contains 8 literacy stations: 2 reading, 2 writing, 2 word work, 1 listening, and 1 FUN fast finisher activity. Poems, recording sheets, tracers, and examples are included. These fun educational stations are sure to excite students during this holiday stations.